Lace-up tops are still trending and for good reason. They take an otherwise basic top to the next level with a subtle bit of flair. 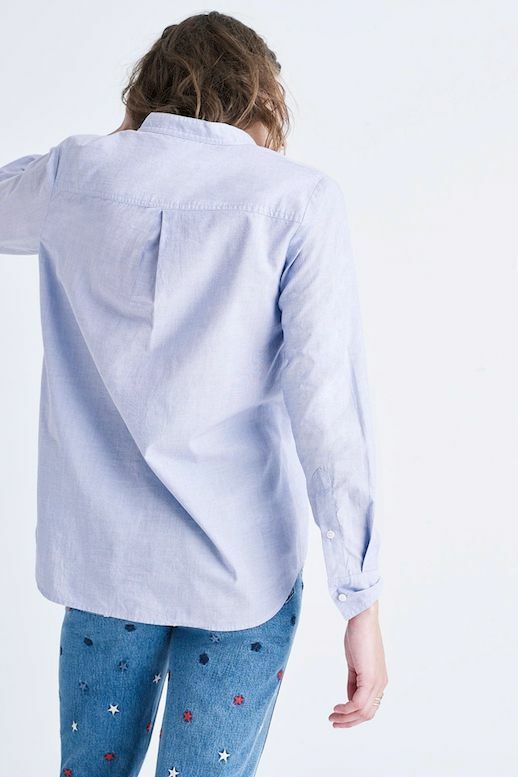 This blue shirt caught our eye in particular since it's a classic cut and color, but with a modern twist. Plus, it makes for easy dressing since you can wear it year-round with your favorite pair of jeans or leggings.